”At this point, it is interesting to speculate on the analogy of the relationship between the civic public and ”the higher power”. I say that every citizen is (or may be) a “resistor in the circuit”. By following the above-mentioned parallel, society without resistance heads itself to self-destruction as its energy is unregulated, which makes each of us an important social component. 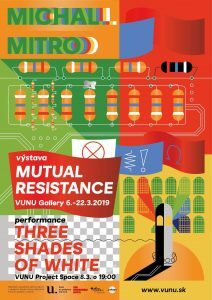 Mutual resistance is a project of Czech-Slovak artist, Michal Mitro, which finds itself on the edge of guerilla science and new media art, light design, and electronics engagement.